Public awareness campaigns targeting human trafficking must link comprehensive information with a well-researched and relatable programme of action. While campaigns to raise public awareness of human trafficking have been positive, their impact has been limited to date. For a campaign to be successful, it needs to reach its target audience with a clear message and a call to action that inspires people to step up and become involved. Many public awareness campaigns do not come close to reaching their full potential. One of the main barriers to success is the level of information that awareness campaigns typically provide. After 25 years of awareness campaigns on human trafficking, public understanding and involvement in the counter trafficking movement is very limited throughout the world. This is partly because the information on offer has been limited or incomplete. Last summer, my wife Sylvia Yu and I did a 70-day, 27-city, 112-presentation road trip across the United States to increase public awareness of the challenges associated with human trafficking. This trip was motivated by a recognition that the scale of the problem we face continues to dwarf our best efforts. There are currently estimated to be 45.8 million people in slavery in the world today. From this overall total, we have managed to help less than 0.2% of the victims (author calculation, showing the proportion of victims assisted as listed in the 2016 Trafficking in Persons report [78,000] to 45.8 million slaves). U.S. Ambassador Kristie Kenney with Thai Artists Announcing MTV EXIT Concert in Udon Thani against Human Trafficking in 2014. USAID Asia/Flickr. (CC 2.0 by-nc). Among the surprising findings of this trip was the low level of general awareness among corporations, faith-based groups, schools, non-governmental organisations, and the general public. We estimated that less than 10% of the 4,000 people we spoke to had previously been exposed to at least a quarter of the information we presented regarding human trafficking. General awareness is an important prerequisite for a successful movement. Below is a summary of some of the major issues we encountered during our travels. First, most public awareness campaigns are built around the assumption that providing people with information about human trafficking will in turn inspire them to care and become involved. This link between information and action is much weaker than is often assumed. Despite 25 years of investment, there remains a lack of sustained and active participation from audiences exposed to public awareness campaigns. The concrete results we are seeking include more people volunteering, raising more funds, donating to worthy causes, acting responsibly as consumers, reporting suspicious behaviour, and contributing to the overall awareness. The most common response is instead small bursts of interest that fade over time. Many public awareness campaigners also fail to get the necessary information across effectively. 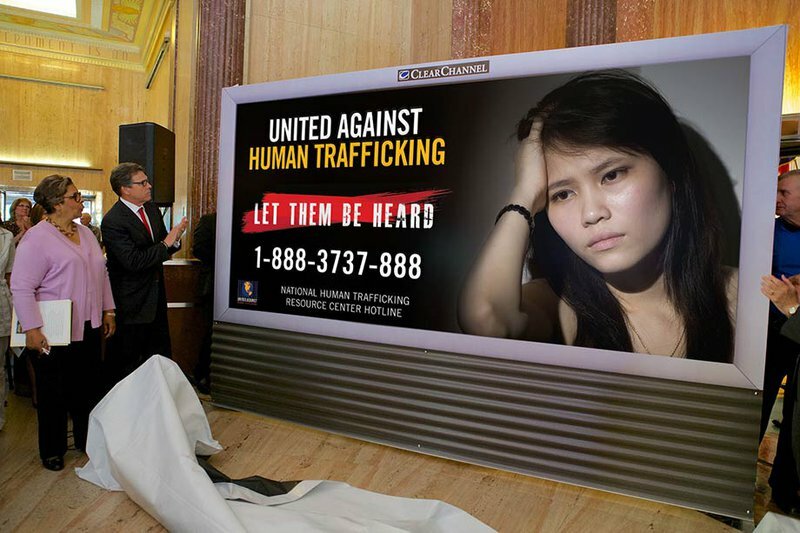 Many of the messages that feature in anti-trafficking campaigns can be confusing. For example, messages might simply state “Stop Human Trafficking” with no details offered on how this can be done or mislead a person into thinking that human trafficking is “foreign problem.” Instead of thoughtful, well-tested, and well-informed messages, campaigners end up flying by the seat-of-their pants that assume that compassionate people will fully understand what is needed and immediately step up to help. Campaigners rarely make use of focus groups or draw upon existing bodies of knowledge regarding communication strategies or behavioural change. Instead of being motivated to take action, audiences struggle to relate to the plight of victims, becoming numb and detached. Part of the problem here is the degree to which campaigns heavily focus on the pain and suffering that victims experience. While this is undoubtedly important, it can be overwhelming if these are experiences are not concretely connected to a sense of hope or purpose for an effective solution or strategy. This approach presents the issue as being too painful and depressing to face, causing people to turn away in order to avoid feeling guilty for not acting. This can also lead to desensitisation and compassion fatigue. Instead of being motivated to take action, audiences struggle to relate to the plight of victims, becoming numb and detached. Many people do not see human trafficking as having any direct relevance to their everyday life. They feel it happens to others, often in some far away land. Issues that they can see having an impact on our own lives more easily translated into action, such as when, for example, environmental damage is understood to effect their lives and the lives of their families. When it looked like the Ebola virus might be coming to the USA public investment radically increased. When Ebola was understood to be confined to West Africa there was much less engagement. A number of major changes need to be made to ensure that public awareness campaigns are truly effective. First, we need to do a better job developing and testing messages. Rigorous market research and message development must be an integral part of any anti-trafficking campaign. These scientific methods help to gauge the knowledge, attitudes and behaviour of the general public to ensure the messages created will be understood and impact-oriented. This type of investment might also prompt the counter-trafficking community to accept a set of standardised messages and to ensure continuity of messaging over time. Second, we need to offer people with a plan of action regarding how and where they can help, rather than dwelling exclusively on experiences of misery and suffering. Audiences need to understand that they can play a part in addressing the problem, despite its global scale, by learning about the issue, sharing information with family and friends, reporting suspicious behaviour, volunteering at an NGO, or fundraising. Moreover, these messages need to be directly relevant to the target audience. Since many trafficking victims are associated with forced labour within supply chains, consumers directly contribute to global problems. This means that this issue it relevant to all of us. With this in mind, we must ask people to be responsible consumers. This might include having them go online to see if the companies they buy from have a code of conduct related to human trafficking and labor exploitation. While campaigns to raise awareness of human trafficking may have their limitations and flaws, their overall contribution remains indispensable, and they could be made even more effective.